Slit hot dogs to within 1/2 inch of ends; insert 3 strips cheese into each slit. Separate dough into 8 triangles; spread each with dressing. Spoon sauerkraut onto short end of each triangle; top with hot dog. 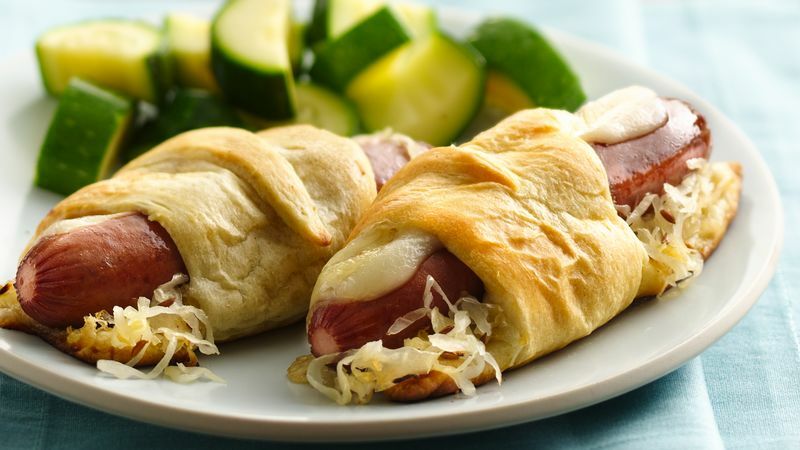 Wrap dough around each hot dog. Place on ungreased cookie sheet, cheese side up. Bake at 375°F 12 to 15 minutes. Serve with additional dressing, if desired.